Peace for Paris | So Many Exciting and Beautiful Places! We have been home less than a month, and our memories of Paris are still vivid. It is a beautiful city, and its people were so warm and friendly to us. We deplore the acts of hatred that occurred here. Nothing can justify this, nor any other acts of terrorism and oppression no matter where they occur. 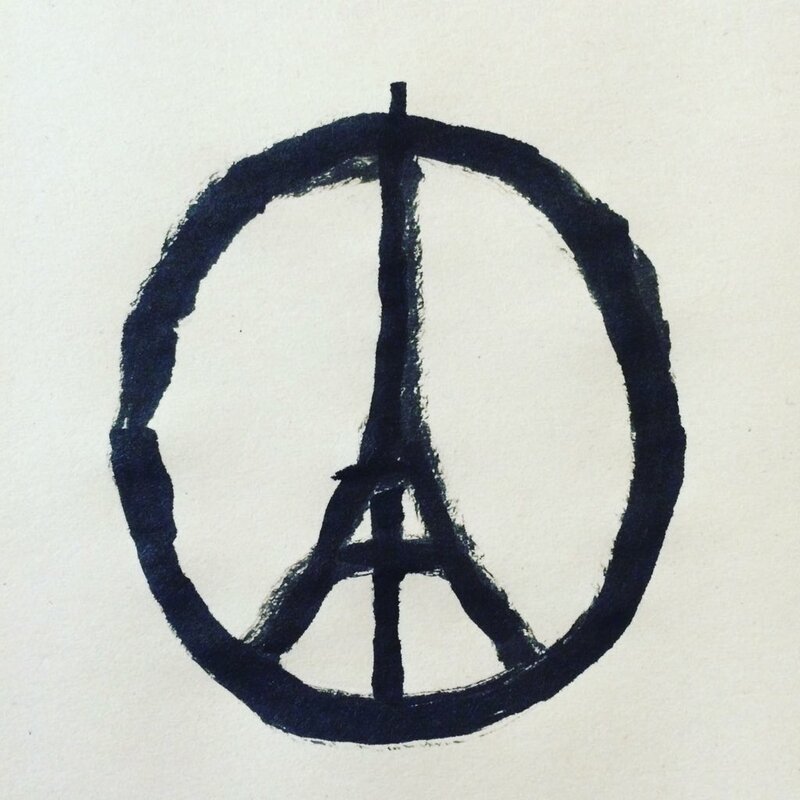 The symbol above, Peace for Paris by Jean Jullian, has been adopted by supporters of Paris throughout the world. It gives a simple, yet powerful message.